The Congress has nominated Kozhikode district Congress president T Siddique to contest from the Wayanad seat. Top Congress leaders in Kerala, including AICC general secretary Oommen Chandy and leader of Opposition Ramesh Chennithala, on Saturday, urged AICC president Rahul Gandhi to contest from the Wayanad Lok Sabha seat in Kerala. Speaking to the media in Kottayam, Chennithala said that he has already spoken to Gandhi when he visited Kerala earlier this month. “Today, we have again put forward our request and I have already spoken to the Wayanad district Congress president, who also evinced huge interest,” said Chennithala. The Congress has nominated Kozhikode district Congress president T. Siddique to contest from the Wayanad seat. 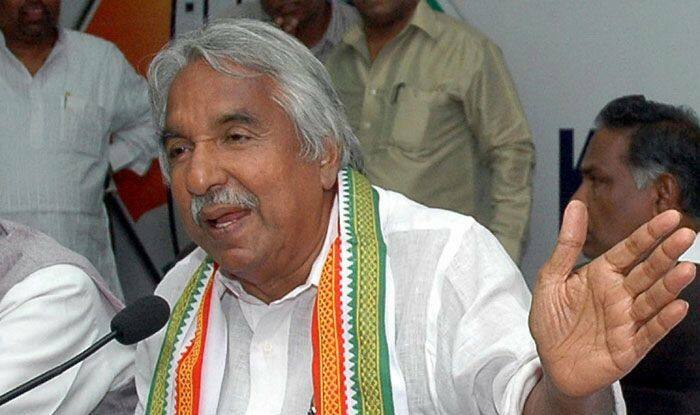 Chandy told the media that this is the request from Congress workers and “we wish and want that Gandhi contests from Wayanad”. “Siddique has already been informed about this and he has welcomed it. Gandhi, if he decides to accept our request, then it would not only be a massive boost for the party in Kerala, but across South India,” Chandy told the media. The Wayanad seat was formed in 2009 and is one of the strongest constituencies for the Congress party. Both in 2009 and 2014 it was won by senior Congress leader M.I. Shanawaz, but he passed away last year and since then the seat has been lying vacant. “If Gandhi decides to contest from Wayanad, I will be leading his campaign. Gandhi will win with the biggest margin in the country,” said Siddique. Reacting to the news about the Kerala Congress’ plea to Gandhi, CPI-M Kerala state secretary Kodiyeri Balakrishnan said that they do not fear such things. “We do not fear if Gandhi contests from Kerala. This move shows a loss of confidence of the Congress party. He should now let all know which constituency he would give up – Amethi or Wayanad,” said Balakrishnan to the media. Former Mizoram Governor and BJP candidate from the Thiruvananthapuram Lok Sabha constituency, Kummanem Rajasekheran, said it’s now clear that Rahul Gandhi has lost hope of retaining Amethi or northern India. “Since he is afraid, he is moving to a state considered safe and he would also have got the concurrence of the Left. Now what the Left should do is to withdraw their candidate from Wayanad,” said Rajasekheran. PP Suneer of the CPI has been selected to contest from Wayanad constituency.